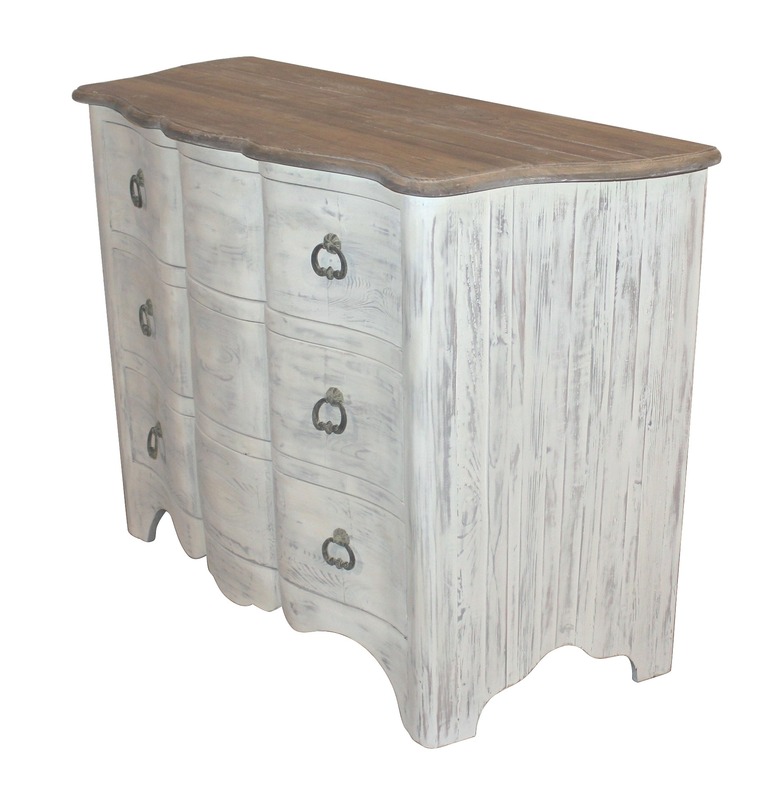 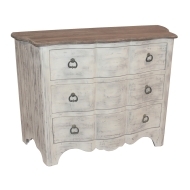 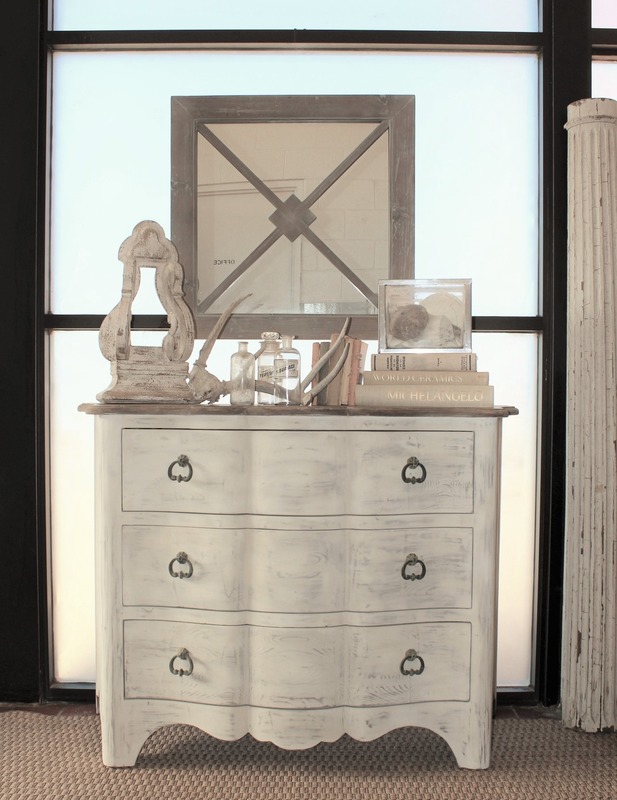 Barclay Chest - White x White - Antique and Fine Decor for the Home. 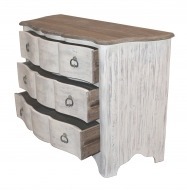 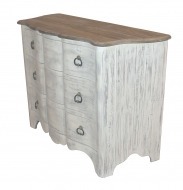 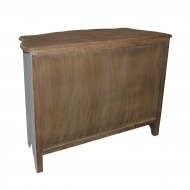 Large scale three drawer French inspired chest made of reclaimed pine with white wash finish and natural pine top. Three drawers with inside measurements of 35.3"W x 15"D x 7.7"H. Substantial iron ring style pulls, shaped bottom apron and bombe sides.